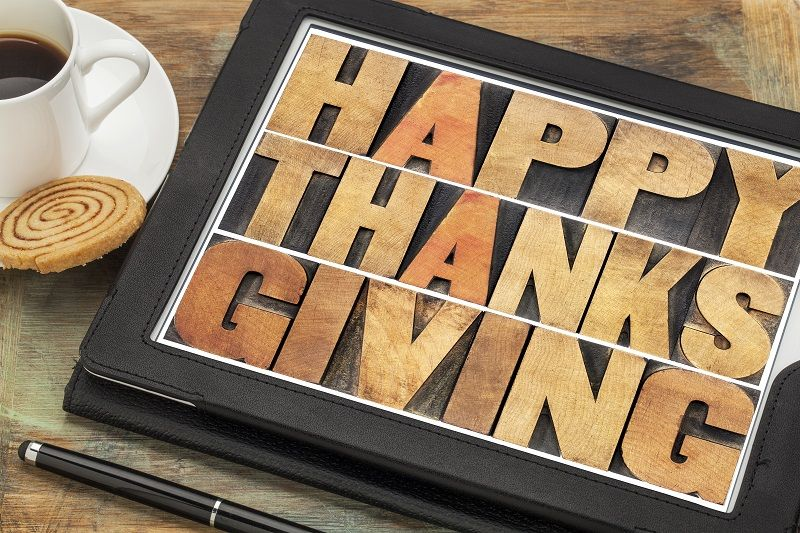 As the year draws to a close, project managers in the United States partake in harvest festivals and celebrations of gratitude. We share in feasts, spend time with our loved ones and pause to give thanks for all we have. What does this have to do with lawyers and dentists? What do we have in common with them? Not much. For this, we can be thankful. Grab a slice of pumpkin roll and a hot beverage. Regardless of whether you’ll soon celebrate Thanksgiving, let’s enjoy this moment by taking a good-humored look at our professional blessings. For starters, project managers can be thankful for the amount of variety we have in our work. Before boredom thinks of visiting with us, we’re off to manage the next project. Sure, lawyers and dentists enjoy variety, too. While we manage construction of the tallest buildings in the world, lawyers are in the offices of land records. They spend their afternoons pouring through deed books and reviewing plats. That just sizzles with variety. “Ding!” Oh look, here’s a text from the dentist. Your next appointment is in May. Nearing the top of the professional gratitude list, many of us are thankful for Project Management Institute (PMI®). We’re fortunate to have a strong professional organization that leads the way in the development of standards. Does the American Bar Association lead the way in the development of legal standards? No, they don’t. Legal standards are set by the laws of each state. What about the American Dental Association? What are the benefits of belonging to ADA? Hmm… this page says they provide their members with legal resources and litigation support. Should dentists provide litigation support? Should lawyers fill cavities? Project managers can be thankful for having the superior professional organization. Besides developing standards, PMI® also provides us with a plethora of educational and networking opportunities. Speaking of networking opportunities, project managers have many. For starters, we can participate in a local PMI® chapter. There we’ll find luncheons, speakers and amazingly good folks to spend time with. Get online and you’ll develop a real understanding of our community and its potential. Would you like to meet a recipient of the PMI® Project of Year Award? That can happen. Have an obscure question that only a scheduler from a pipeline project can answer? There’s a forum for that. If you haven’t noticed, our online project management communities are thriving. While you’re online, hop over to any job-seeking site and try a few searches. Pick a city. Any decent-sized town will do. Search for jobs as a project manager. Now search for jobs as an attorney. Find work as a dentist. See. For project managers, the opportunities are abundant. We can easily relocate and find the opportunities we need. Ours is also a profession with projected growth. Check out PMI’s Industry Growth Forecast, published in March 2013. Between 2010 and 2020, it’s estimated that 15.7 million new project management roles will be created globally. We can be thankful we’re project managers. To begin with, we don’t typically carry the amount of student loan debt that lawyers and dentists do. Though many project managers hold advanced degrees, for most project management positions, a terminal degree isn’t a requirement. Secondly, when we’re ready to relocate, we don’t have to sit for another exam. Although many of us are certified, we’re not required to maintain a license where we work. Life is pretty good for us. Project managers, don’t forget to count your professional blessings this season. Keep in your thoughts those less fortunate than us, like lawyers and dentists. Remember, when it’s all said and done, it’s the simple things in life that really matter. Take a moment to reach out to your poor lawyer and dentist. They’ll appreciate the gesture more than you know.